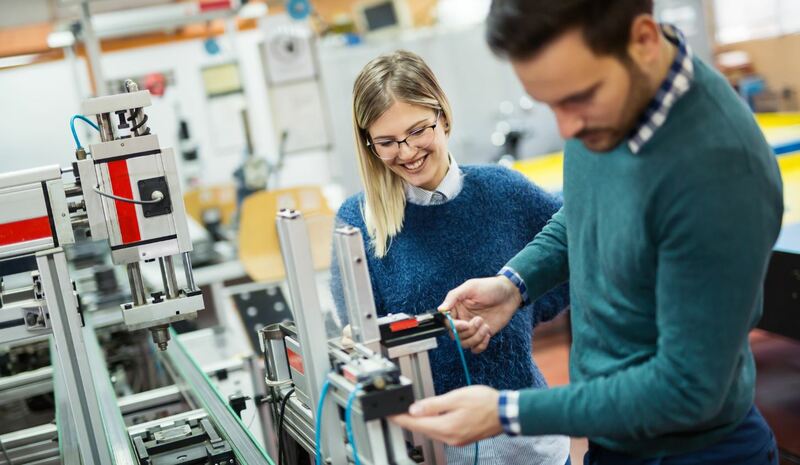 The hunt is on to find the UK and Ireland’s best PhD student talent to fill 12 funded places within a major collaborative effort which will pair-up the right skills and talent with award-winning industry leaders in the areas of energy and manufacturing. As part of the new, innovative ‘Renewable Engine’ project, the Advanced Forming Research Centre in the University of Strathclyde, Glasgow is seeking to recruit a dozen talented, practically-driven PhD students to support a substantive scale-up in commercial activity. The University of Strathclyde has partnered with Queen’s University, South West College in County Tyrone, IT Sligo, Manufacturing NI, Action Renewables and Mid-Ulster Council. Education, training and professional support will be provided across the partner institutions, with opportunities within the energy and manufacturing sectors notable both sides of the border. The four-year programme was devised to build a cluster of research and innovation SMEs, backed by €5.8m in Special EU Programmes Body funding. Opportunities within the energy and manufacturing sectors are large and Scotland, Northern Ireland and Ireland are already among the world’s leading innovators in the delivery of energy solutions and in driving export-led growth through manufacturing prowess. Lead project partner, Dr Jill Cush said: “The range of employment opportunities within the energy and manufacturing industries locally is extremely diverse, and the scale of demand for talent is vast. “Many energy and advanced manufacturing technologies are at a key innovation stage and the progress being made by pioneering companies across the UK and Ireland has been nothing short of outstanding. “We want to support this growth, and opportunity, by signing up 12 passionate PhD students who want to advance their careers quickly in a practical, focused way. The available academic support and funding will allow them and their partner companies to drive world class excellence in these exciting and growing areas. This ground-breaking project aims to support the development of a new and unique cross-border research and innovation ‘supercluster’ involving high-calibre research and industry partners which can capitalise on the world class facilities and resources available through academic partners. Supported by the EU’s INTERREG VA Programme and managed by the Special EU Programmes Body (SEUPB), with match funding provided by the Department for the Economy NI and the Department of Jobs, Enterprise and Innovation in Ireland, PhD students and companies taking part will benefit directly from the targeted industrial research support and technology development opportunities on offer. The project will be implemented across Western Scotland, Northern Ireland and the border region of Ireland. For more information, please visit www.renewableengine.eu. Click here for details of career opportunities for recent Queen’s graduates, and find out about other postgraduate openings at The Graduate School at Queen’s.